Pentagon, Defense Department, and Obama himself may have violated US law in trading captive soldier for top terrorists, group says. The Pentagon broke multiple laws earlier this year, according to a government watchdog group, after it agreed to swap captive US soldier Sgt. Bowe Bergdahl for five top Taliban leaders in a landmark deal. The nonpartisan US Government Accountability Office (GAO) released a report Thursday stating that the Defense Department not only failed to notify Congress at least 30 days in advance of the agreement, but also used funds that were not technically available for use in making the deal. According to the Guardian and other international sources, the deal reportedly cost the US nearly $1 million. Senator Lisa Murkowski (R-Alaska) was one of the lawmakers who requested the report, and indicated that President Barack Obama himself is also at fault. “We have all seen the President decide to override the concept of checks and balances in many questionable executive actions, but the GAO opinion confirms that by doing so in connection with the release of Bowe Bergdahl, he engaged in a clear violation of the law,” she said in a statement. “I hope this opinion by the nonpartisan Government Accountability Office sends a clear signal to the President that his recent shift towards unilateral action is not consistent with this nation's principles and our carefully designed separation of powers." Despite the GAO's opinion that the Defense Department's violation of the law is "clear and unambiguous," Department officials had a different story. "The administration had a fleeting opportunity to protect the life of a US service member held captive and in danger for almost five years," Defense Department press secretary Rear Admiral John Kirby stated in response to the report. 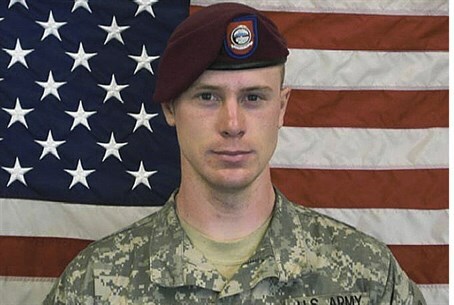 Kirby did not note, however, that the US waited for nearly five months to release Bergdahl over bureaucratic issues. "The operation to retrieve Sgt. Bergdahl was lawfully conducted and that was also the judgment of the Justice Department. Nothing has changed about our view that this was a lawful recovery operation." According to the GAO, the Defense Department claimed that Defense Secretary Chuck Hagel authorized the exchange based on a section of the law that allows transfers of Guantanamo prisoners if action is taken to reduce recidivism. The Pentagon added that both the last-minute transfer and payment would be lawful in such a situation, given that it is permitted in other sections of the law. The Bergdahl deal, announced in June, saw five top Taliban terrorists released for the soldier, who has been held captive since 2009. The five Afghani Taliban prisoners released are widely thought to be the most senior terrorists held by the US at Guantamano Bay, and concerns have been raised that their return could facilitate a major rise in terrorism in the volatile region. Official legislation over the deal is pending; according to Fox News, a "resolution of disapproval" has been drafted by the House Armed Service Committee, but no further action has yet been taken. The deal may not remain a mere subject of political grumbling for long, however; earlier this month, a House of Representatives panel condemned Obama for the terrorist trade - and not informing Congress 30 days in advance of the swap - in a 34-25 vote.